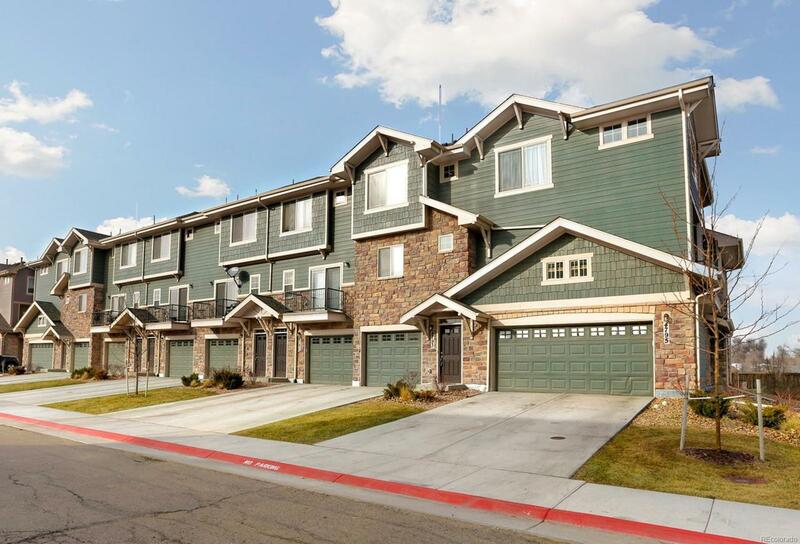 Immaculate and stylish 2 BD/3 BH townhome across from open space. This fantastic home enjoys an open layout concept, main-level with flowing living room, dining area opening up to private deck. Ample upgraded kitchen with quartz slab, glass subway tile, breakfast bar. Beautiful updates include upgraded wood-look laminate flooring and maple kitchen cabinets. Master bedroom with en-suite access to private bath and relaxing backyard views. Secondary bedroom is spacious and also enjoys a private en-suite bath. Great community amenities include clubhouse, community pool, and, fitness center. Fantastic location; adjacent to 98th Ave & Riverdale Open Space, and walking distance to new light rail station. Set up your private showing today!